The formation of Syrian battalion is a meme? There are few dozens of videos of Syrian army defectors and civilians joining the opposition or forming various parallel independent battalions. 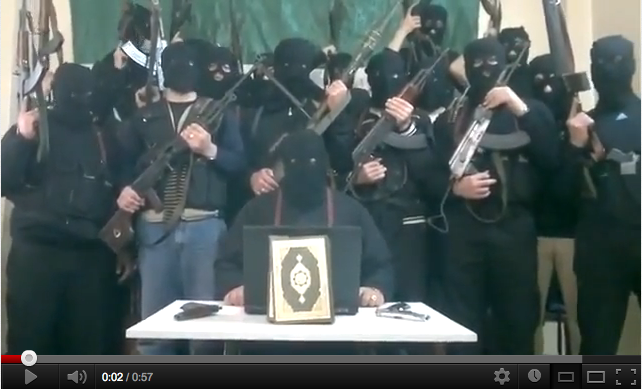 A great number of these videos show a group of Syrian men, standing in front of a camera, while the leader or a representative, reads the group’s declaration of constitution from a laptop computer. These videos also share a very low viewership, that in most cases is equivalent or less than the number of insurgents in the video. The text is read in a loud, assertive and forceful voice, addressed, not to those present, but to the camera (or whatever recording device), or rather, to the internet. The video announces to the internet that these group of people have decided to part with the leading military regime, and join the opposition. However, given the low number of viewers, it becomes unclear if the video is directed to an online audience, who do not know these people, and cannot anticipate their success, influence and their position vis a vis the multiplicity of forces within the country. As mentioned in a pervious post, the video—if we can call it video as its physical existence is in question— makes it clear that the group is constituted as an online entity as well as a physical one and possibly in spite of it. The declaration of the formation of the group is inseparable from the meme that its contributing to, one might suggest that it is prompted by it. Thus, the internet here is not only an idea of a possible audience, it is not simply a means to an end (to send a message); rather the internet here is the very affirmation of the group’s existence, without which it will cease to be. The group substitutes the act of signing, with that of posing in front of the camera, one gesture is replaced by the other. 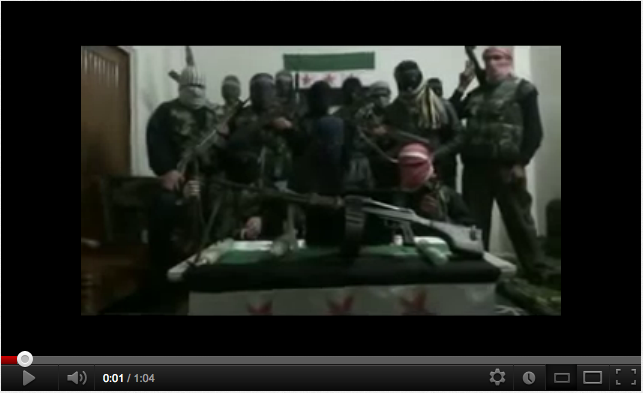 Those present in the video are also signatories of the declaration. 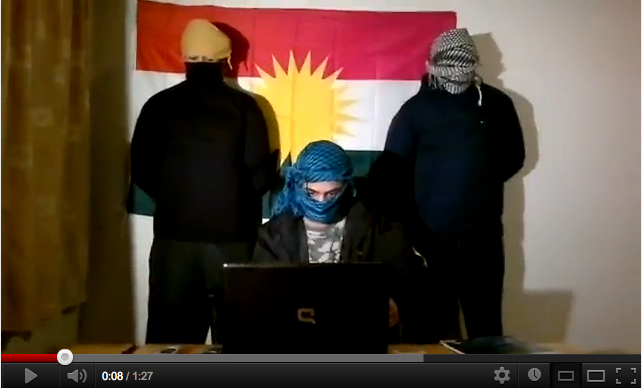 They stand before a computer screen and unite in front of a computer screen and will remain there until the video is removed from the internet. But if a subject’s offline existence is contingent upon its online presence, then one needs to transcode oneself into an avatar and contribute to the meme’s development and possible mutation. New York based artist Artie Vierkant’s Image Objects address this online mutation of the exhibition object although in a more roundabout and complex manner. 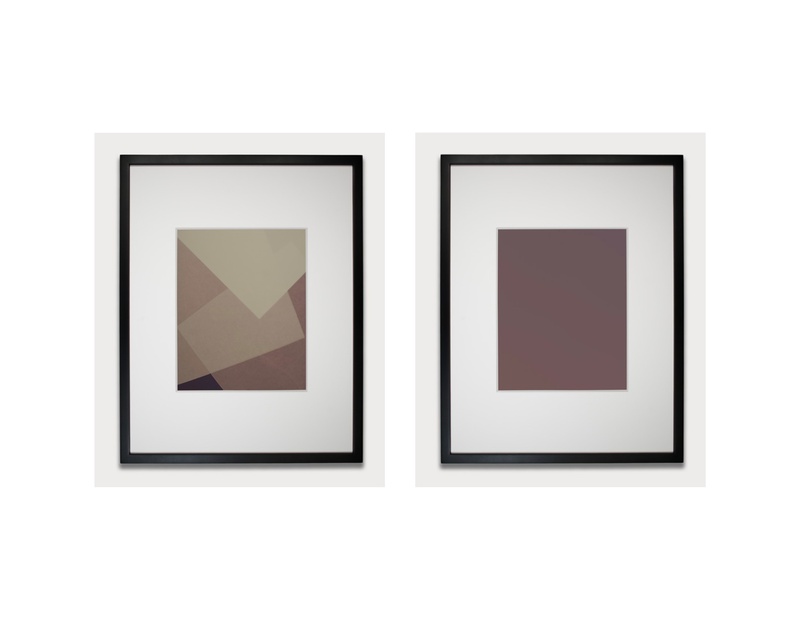 The images are first produced digitally, then rendered into UV prints on sintra and eventually the (official) documentation of the pieces is again altered digitally, not accurately presenting the physical object. 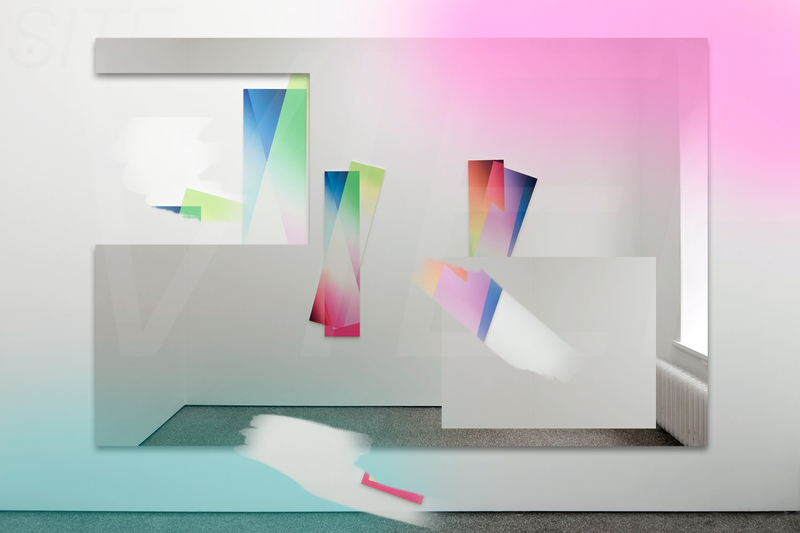 Vierkant highlights the ambiguous location of the work between the physical space of the gallery and the web. Already in his essay Dispersion, Seth Price points to a similar ambiguity with regards to the “Daniel Pearl Video” noting that since it does not exist outside of the internet, it may not be correct to call it “video.” Vierkat takes this a step further by putting forth a work that questions the ontological distinctions of the work’s location. In Phil Chang’s Cache, Active at LAXART, a series of photographs some contact prints of negatives, some photograms were printed on unfixed expired photographic paper. The photographs encompassed various pictorial traditions of portraiture , still life, landscape, abstraction, and appropriated imagery, all faded to a monochrome with the light required to view them in the gallery. They were printed on expired photo paper and were not chemically fixed to last the exhibition lights. Contrary to the work of the 17th century dramatists, these pictures faded, over-exposed to the light that made them visible but similar to them their lifespan was defined by light. Regardless of the particular significance of the work in the canon of photographic theory, or its being an iconoclastic commentary on the move from mere representation pictures to [abstract] art, they provide a [rather metaphoric] take on the relationship between [media] exposure and visual meaning production. It is images’ “exposure” as “public exhibition” and sense of “situation with regard to sun or weather,” that ultimately makes them invisible. The images are the “spam of the earth,” the visual excess, by-product of the universal dominance of exchange value that make representation invisible through over production. What makes the work visible/consumable is what eventually erases the works’ features. It is the exchange value that eventually undermines the works’ use value and makes it useless, the commodity renders insignificance all features of a thing as long as it is sold, to paraphrase one critic’s commentary on the exhibition. But while such critical assumptions could be valid considering the work’s presence in the gallery, they are immediately dismantled in the works’ representation on the internet. Ironically, in an article that argues the works’ significance as a critique of capitalism, the un-faded picture is featured at its most clarity together with the monochrome and it is the process that is absent but described in the text. While the images fade out in the gallery space, they preside on the web and after the exhibition is dismantled (if not even while it’s on view) they become the work even though its destination was not the web initially. However, this is not unique to these works, (and this text is not a critique of these particular works) even if it particularly affects their reception, and thus their meaning significantly. The life of Chang’s images on the web point to the problematic of identifying the location, and destination of the work in the age of global connectivity. The work’s assumed contingency upon the spatial presence of the observer within a defined pocket of time is dependent on the availability of its digital rendering online. 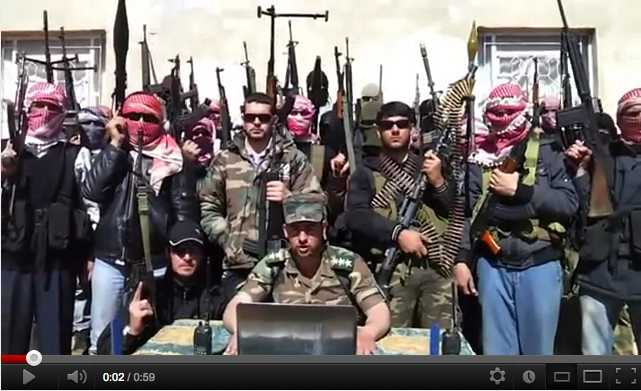 In a video posted on youtube, a group of Syrian insurgents declare the formation of their group. 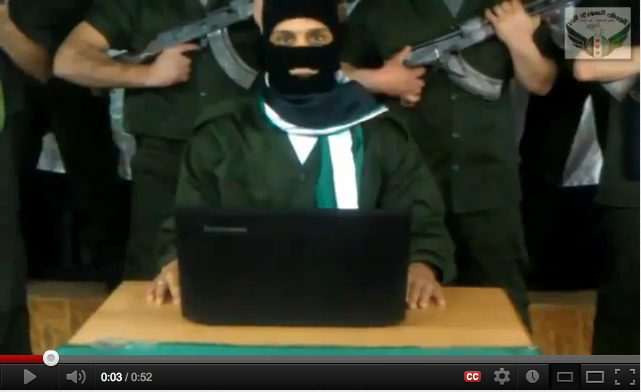 What stands out is not necessarily the formation of a new revolutionary battalion in the midst of what is bordering a civil war, but rather the laptop placed in front of the groups leader making the announcement. The video—if we can call it video as its physical existence is in question— makes it clear that the group is constituted as an online entity as well as a physical one and possibly in spite of it. The leader (or representative) of the group while reads the text directly from a word processor, could also be addressing another group of viewers via videochat. The declaration of the formation of the group is inseparable from the meme that its contributing to, one might suggest that it is prompted by it.